Long Cotton Nightgowns - Women have been enchanted by beautiful long nightgowns for centuries, and it’s easy to see why this classic style will always be in fashion. Pretty and feminine, cotton nightgowns are a popular choice for those who love a timeless look and comfortable fit in their sleepwear. In this article we’ll reveal the most common myths surrounding long cotton nightgowns and the surprising facts about this best selling womens sleepwear style. Fact - Long nightgowns look great on every silhouette - from petites to plus sizes. From petites to plus sizes and every shape in between, many women fear that they have to be super tall, or skinny to wear a full length nightgown. Nothing could be further from the truth. Long nightgowns come in a fantastic variety of different styles that are designed to lightly skim a woman’s shape, offering the perfect combination of comfort, femininity, and a timeless look. The key is to choose a style that is proportionate to your silhouette. In other words, petites should avoid nightgowns with too much fabric that can easily overwhelm a smaller frame, while, curvier and plus size shapes should avoid nightys that are too tight and pull or pucker. Whether you’re tall, short, petite, plus size, or anywhere in between, a long nightgown that fits well and looks great can be enjoyed for many years to come. Lightweight cotton nightgowns are a comfortable way to stay cool when the temperature rises, even if you have air conditioning. Why? Because cotton is a natural fiber that breathes and absorbs moisture, while drawing it away from the skin. 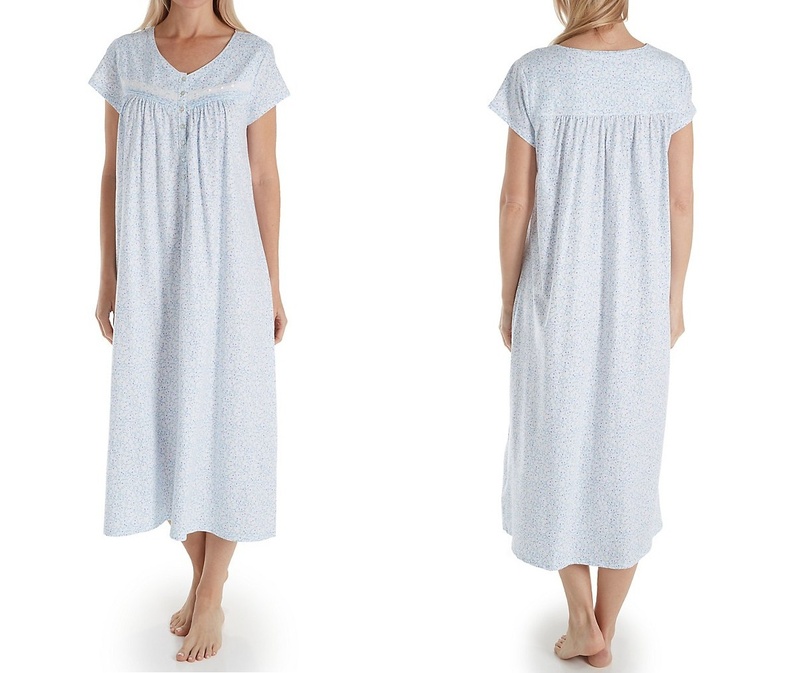 Fact - Slipping into a cozy cotton flannel nightgown or a cotton microfiber blend is a great way to stay snuggly warm during the cold winter months, but this doesn’t mean you have to pack this popular nightwear style away as soon as the spring and summer months appear on the horizon. Far from it - fresh and fabulous gowns in lighter cotton are just as nice. Simply switch out the fabrics for lightweight, crisp cotton or gauzy cotton blends that feel cooler when the temperature is on the rise. 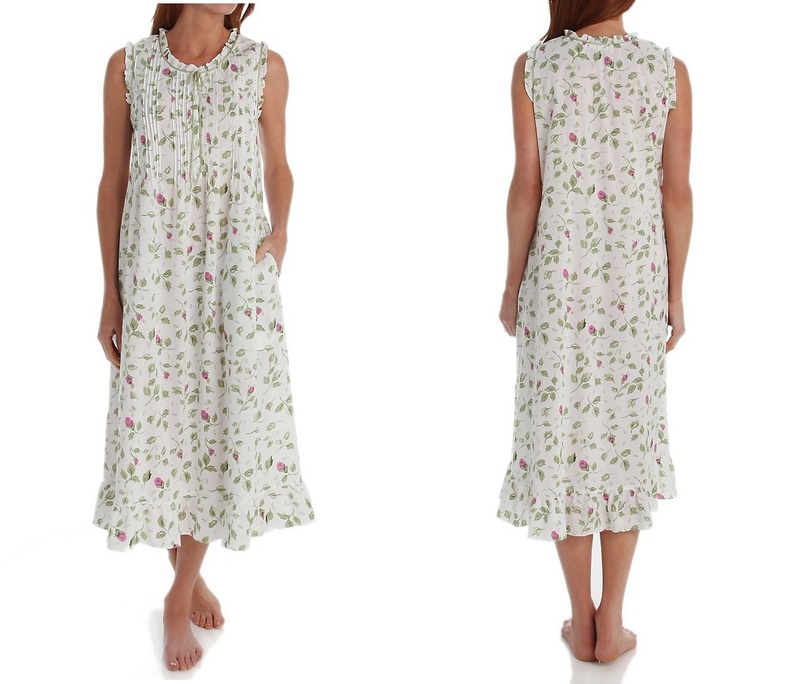 There’s no reason why you can’t enjoy a beautiful cotton nightgown and sleepwear all year round. When it comes to womens sleepwear, the difference is often just in the designer label, so you can get the look you love without spending a fortune. 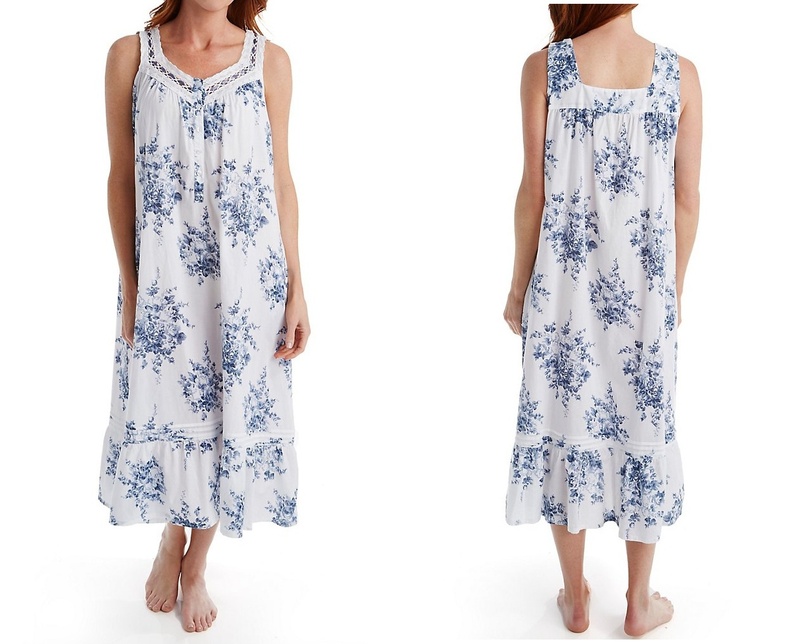 Fact - When it comes to well-made cotton sleepwear, many women assume that having a long cotton nightgown is a luxury that they simply can’t afford. This a very common misconception and one that could not be further from the truth. Full length gowns in cotton and a plethora of intimate apparel fabrics are available at virtually every price point. No matter what your budget, there’s a long cotton nightgown waiting for you. Where to start? 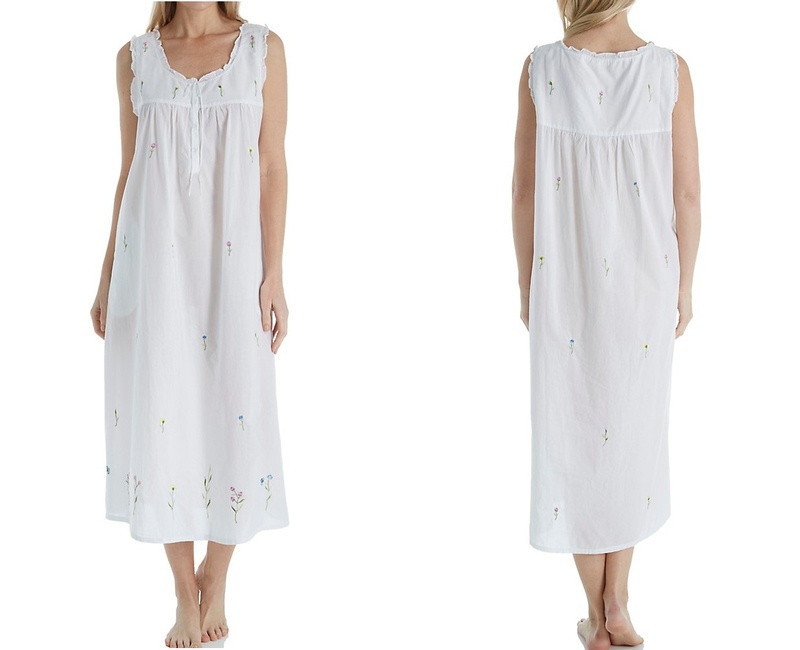 Fact - Yes, it’s true, long cotton nightgowns provide more coverage than lacy little slips and chemises, but this doesn’t mean they need to look frumpy or matronly. If, you prefer nightwear that’s a little softer or less minimal, look for pretty details with a classic touch that's beautiful and elegant.